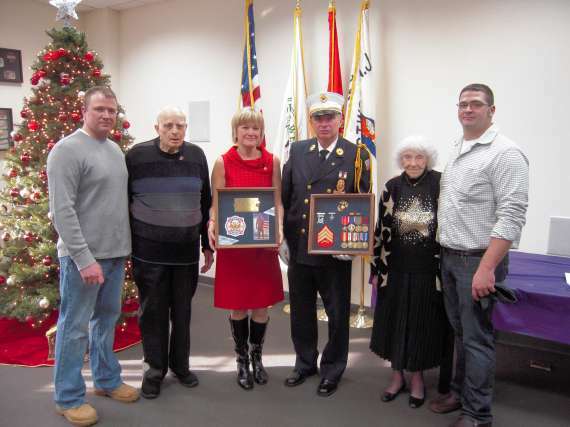 Two Virginian veterans dedicated shadow boxes to the Westwood Fire Department in honor of the late borough fireman and U.S. Marine Sgt. Christopher R. Hrbek. Pictured above, Jim Hodges, Donald Hodges, Cheryl Hodges, Jaymee Hodges, Kathryn Hodges and Beau Hodges accept the shadow boxes. 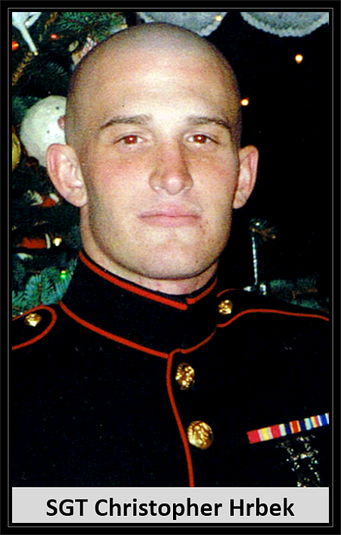 Hometown: Westwood, New Jersey, U.S.
Marine Sgt Hrbek was assigned to 3rd Battalion, 10th Marine Regiment, 2nd Marine Division, II Marine Expeditionary Force, Camp Lejeune, North Carolina, as a field artillery cannoneer. He was killed when he stepped on an improvised explosive device. Christopher graduated from Westwood High School in 2002 where he was on the wrestling team. He was a volunteer fireman for nine years and came from a family of firefighters – his step-father and two step-brothers. 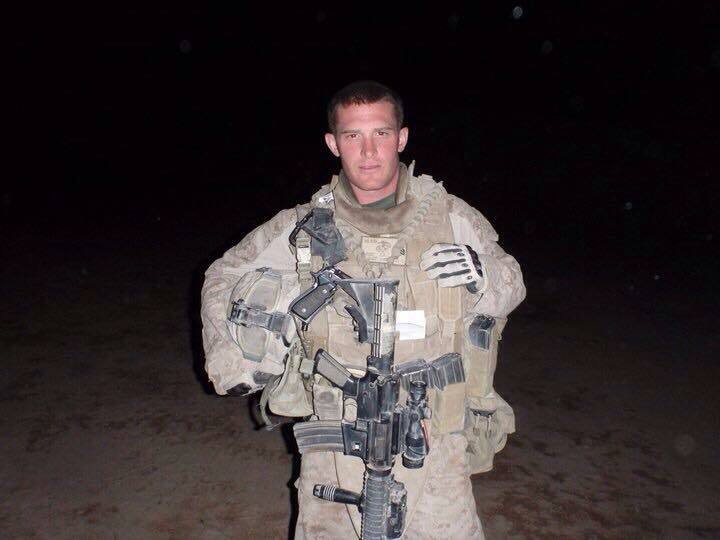 In January 2003, he joined the Marines in response to the September 11 attacks. He could have returned home to join his brothers as New York Firefighters, but decided the Marine Corps was where he wanted to be even after three combat tours in Iraq. He planned to become a drill instructor when he returned from deployment this spring. 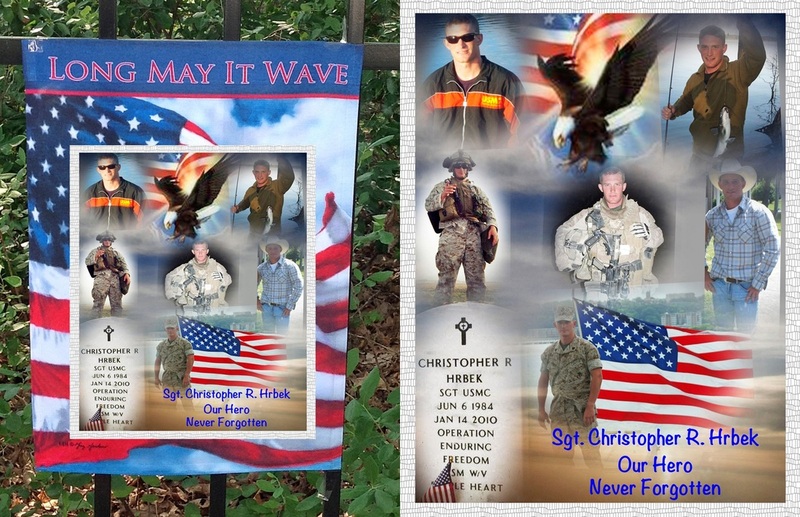 On December 23, 2009, Christopher was on patrol when there was an IED explosion 10 feet behind him. He turned to see his Sgt Major Raymond Mackey still in the air, both legs gone, an arm in bad shape but then the intense gunfire began. 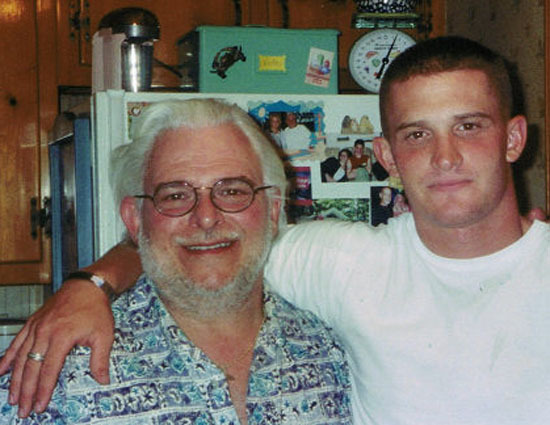 Without a thought about his own safety, Christopher dragged Mackey out of the line of fire and started wrapping him with tourniquets with the Navy corpsman – Mackey lived. He was slated to receive a Bronze Star with combat "V" for Valor but it will now be presented posthumously. 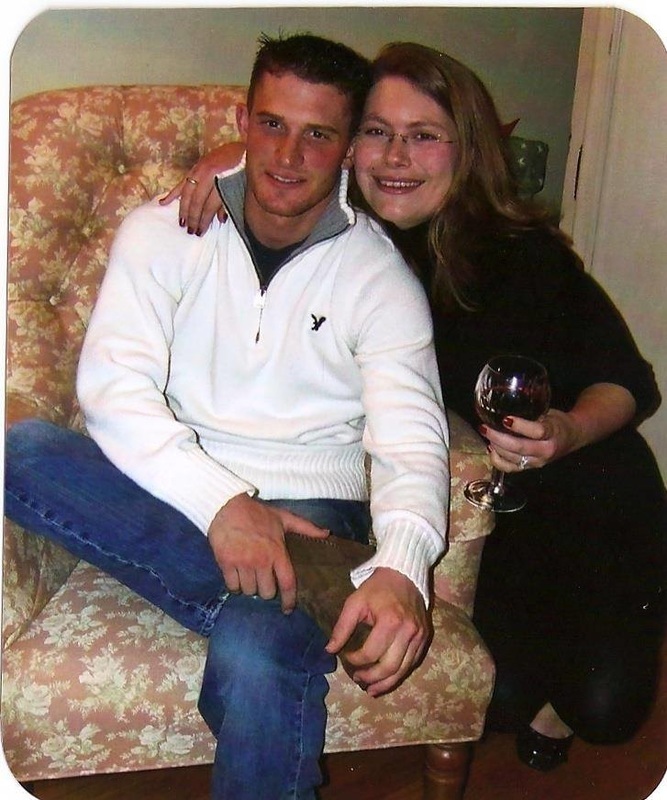 When Christopher came home, his town was there for him. Flags were everywhere – on every home, lawn, store, phone poles, half-staff at schools and the post office. A giant flag was draped over Main Street. Thousands lined the streets along the procession route – firemen, soldiers, sailors, Marines, women weeping, babies in strollers, and stone-faced men. 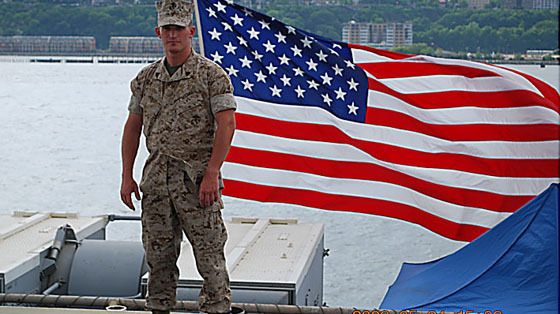 Christopher loved serving his country as a Marine. He told his brother, "I could do this for the rest of my life!" Pictured above are the shadow boxes that were dedicated to the firehouse on Jan. 1. 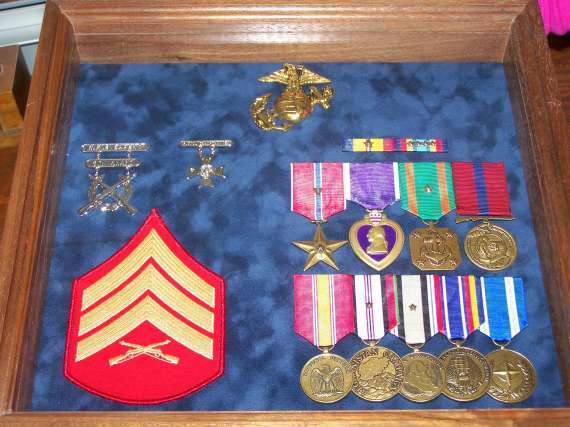 The box on the left contains a Westwood Fire Department patch and a picture of Christopher R. Hrbek. The second box contains all of the service medals Hrbek earned while in the Marines, including a Bronze Star with Valor and a Purple Heart.